Da Spunda is the title of my latest album, my first SOLO project which, in Piedmontese dialect, means “di sponda/the other side”. Like in the game of billiards, “fare gioco di sponda” means to exploit the effect of deflection or rebound produced by a shock, and for me it means turning life’s challenges into opportunities for improvement and renewal. Writing the music and especially the lyrics of most of the songs made me discover nuances and aspects of my personality that, little by little, have become more evident, stronger, more unbearable, but which are eventually combined and reconciled. Liberation, venting and the need to show myself for who I am, naked and unashamed. The atmospheres of the songs span all musical experiences of my almost forty years of musical activity and the lyrics are mostly autobiographical and in Santhiatese dialect. A difficult language to understand but very rhythmic and full of wisdom in its sayings. I speak of fears, hopes, solutions, emotional relationships. Between songs I wanted to insert a kind of game with feet, hands and legs that originated from a body percussion workshop I did with a class of first graders and which I developed in meetings with Alzheimer groups. I used percussion, vocals, a box of wood played with my bare feet, that I named “Fast-Foot”, a guitar built with recycled materials and beaten by a chopstick from a Chinese restaurant (Sai-nen), synthesizers, kalimba, my body, electric piano, classical guitar and various objects (metal trays, demijohns, toys). Some songs are recorded with a “live” aesthetic, others with overdubs and with the help of three of my fellow artists, great friends. Three cherries on top of the cake. – The path, the path of our life, as often happens, is bumpy and difficult. There are potholes and you can get bogged down. I was born among the rice fields of Vercelli, a bit of a depressed area but with a good dose of imagination, inspired by the blues songs of the rice weeders and the multitude of mosquitoes, it brings me straight into the LouisianaDelta… but without the risk of being mauled by crocodiles. A nice benefit. 3) Fiorin Fiorello (Mascheroni, Mendes 1939) – In this work, basically made up of unreleased songs, I added Fiorin Fiorello for these reasons: a) I dedicated it to my father whose name was Fioravante but was lovingly called Fiore or Fiorin Fiorello by everyone and who was, coincidentally, born in 1939. b) I started drumming by accompanying the local majorettes and the local band of Santhià. During a kind of jam session after a fashion show, the wind musicians started to play the melody Fiorin Fiorello and I started accompanying them with a stick on the skin of my red drum and with another on the metal rim as a kind of cymbal. I became a drummer… and I loved it! In my mind this is a picture that has never faded. c) I saw my teacher Enrico Lucchini having fun, happy as a child, playing Fiorin Fiorello with a jazz quartet. d) But perhaps the main reason why I recorded this cover is because, while I practiced to learn the words, every time I came to the part “but when you’re with me, I am happy because” – that sentence or those notes, kept touching something deep within me. – Ten years ago, some time after the death of my mother, I began to write some lyrics inspired by her. Within a few minutes I wrote almost three verses and the chorus. In reality, it took nine years to complete the last two lines, hear my mother in my heart, feel the pain for her death and finally cry all the tears that had been waiting too long to get out. (Traditional) – Popular Vercelli tune. A rice paddy blues which talks of the problems and the failure of a marriage in a decidedly African soundscape. A traditional piece that is amazingly autobiographical. 6) Serenada – A Skype window serenade for my love living a thousand kilometres away. The woman who melted my heart. 7) Musica – A piece that speaks more generally of love, passions, of callings and, in its own small way, wants to go beyond the differences, including cultural and religious ones, the cause of so many unnecessary conflicts. Piergiorgio Miotto plays the piccolo trumpet. 8) Quiete – Sometimes I can’t find the words to express an emotion I have and then I let the music do the talking. Roberto Benigni also says that. 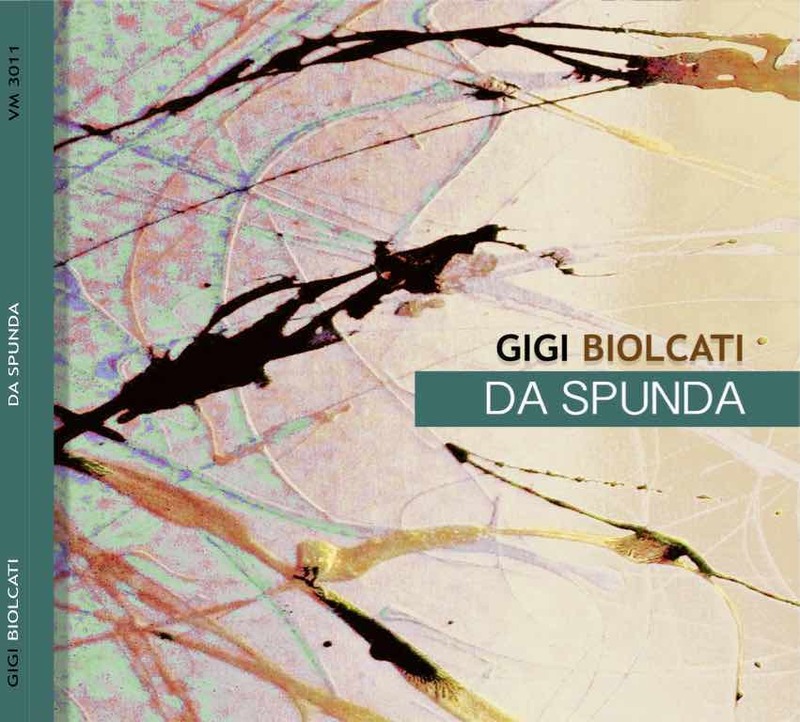 9) Da Spunda – A melody that arrived all of a sudden, during a trip between Genoa and Santhià. The lyrics came to me between Santhia and Genoa and were written in the service area near Recco. A heated argument between me and myself in a techno-shamanic atmosphere. As written above: just like in the game of billiards, “fare gioco di sponda” means to exploit the effect of deflection or rebound produced by a shock, and for me means turning life’s challenges into opportunities for improvement and renewal. 10) Piede, Piede, Mano – A game of body percussion born out of playing with first grade children and developed in workshops with Alzheimers’ groups. Cameo by Roberto Amadè, voice. 11) L’amur – A little reflection on love in which I was reminded of the words my grandmother used to say: “If there is love… the leg moves the foot …”. In their simplicity, these words tell the whole story, or at least the only certainty of love. When there is love, there is the strength and the desire to take another step, to keep going, to keep believing. Loredana Guarneri on cello.